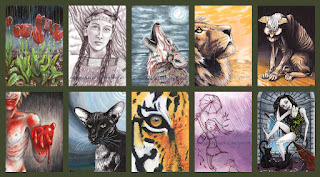 Rise of the ACEOs! Oh my, this miniature art form has taken over my life ever since. 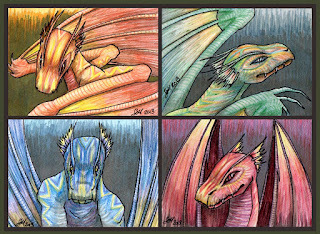 At a teeny tiny 2.5 x 3.5” (or the size of a baseball card) they are ridiculously difficult to render in traditional mediums but I just cannot stop making them. 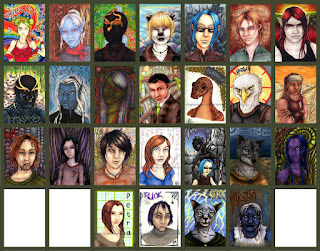 I’ll try and drip feed selections of the one’s I made this year in this post – I made so many!! 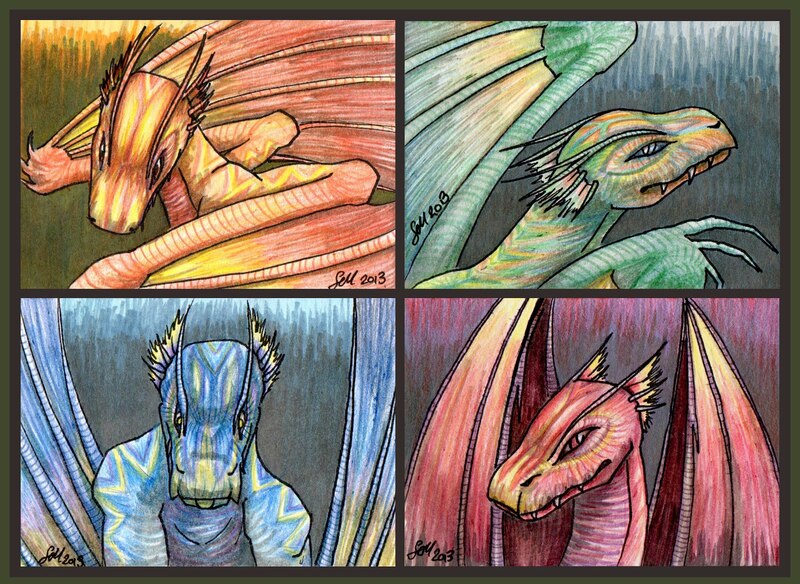 I decided not to show the full set here on The Glass Spire since they have their own space on my sister blog Black Wednesday Isle. I created these using Windsor and Newton oil paints plus a silver pen and the good old Sharpie. I hadn’t really grasped how to work in this tiny format yet and these glyphs actually denote characteristics. These work like star signs so you can head on over to the other blog and figure out which symbols relate to you! I put a lot of effort into making the symbols accurately reflect personality traits so the reading you get from these star signs should ring true. You can let me know if they work for you or not! 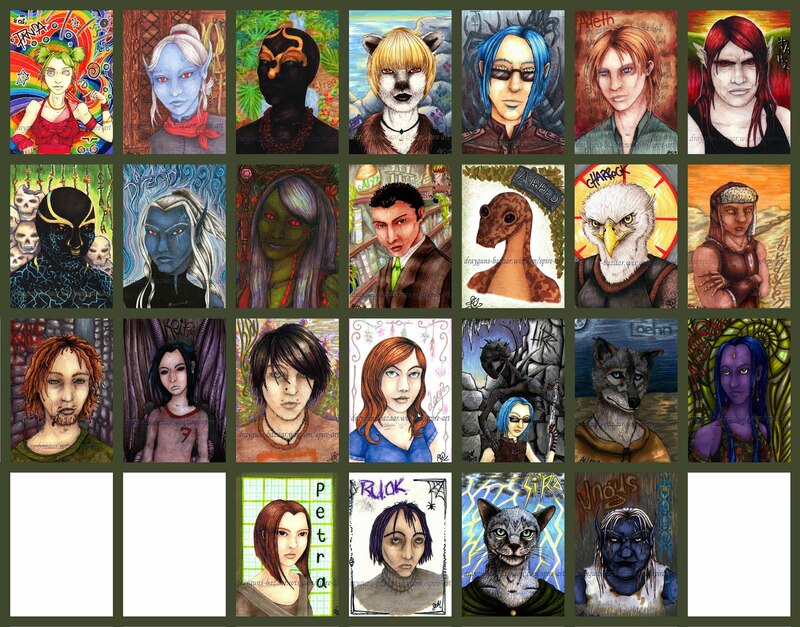 Onward then to the actual art cards I made in 2013. 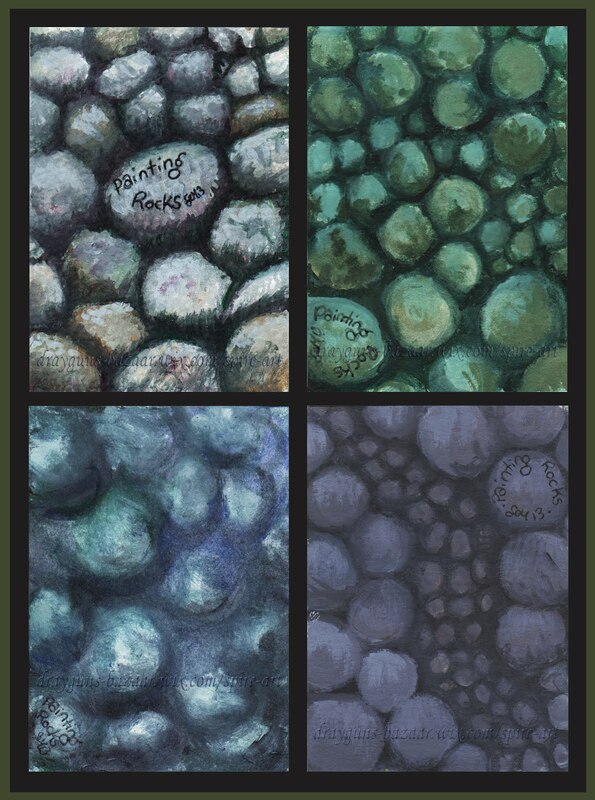 When I began I had little concept of just how difficult it is to create full art pieces in miniature. I mean, it looks so easy! I had no idea. I learnt the hard way that it really isn’t easy at all. 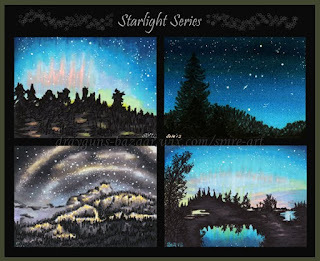 It is a good challenge and one of the best boosts for an artist is trying to replicate detail on such a small scale. Eventually it makes you much better at replicating details on a larger scale. 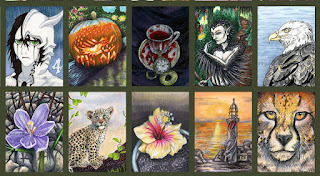 ACEOs presented in no particular order then… I have a lot so I will drip feed as best I can. Working so small and then switching from art cards to a big canvas does feel a lot like stepping off the end of the world. Suddenly an A4 or Letter piece of paper seem enormous. Worse a bigger canvas is like facing a black hole in the endless universe of space with nothing but a paint brush and some water. The good news is that once you get down to work you realise how honed all that miniature working has made you, all that practice and paying attention to detail to make minis really helps when making larger work. 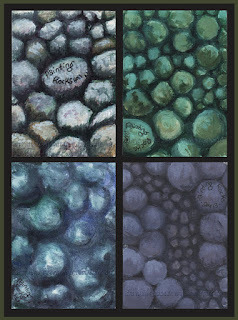 Very small works make me question composition in ways I should question composition on larger works. 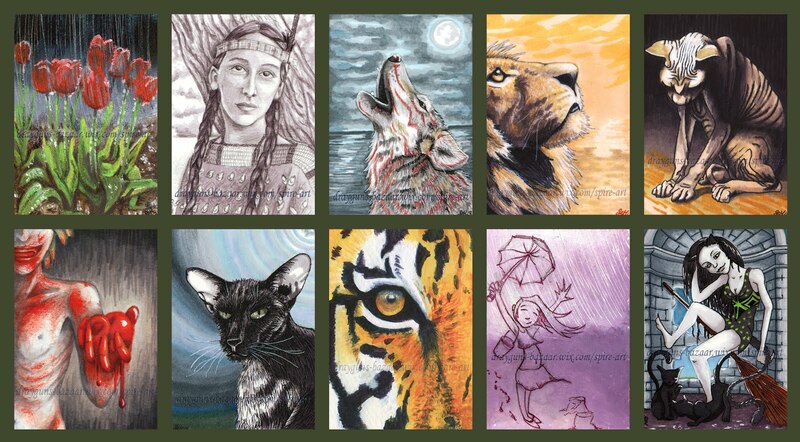 I never thought that art cards would help me evaluate my process as much as they did. This year I made a few sets of things and also what I like to call Part-prints. I took some of my character work and printed it out to scale. The backgrounds on these are originals made to scale the portraits are not. And here (below)are the sets I made - I sure did have a lot of fun creating this year!